Many event professionals rely on Fiesta Tents to cover their needs, and they appreciate our expertise, which has been proven by many years of successful tented events. When you choose Fiesta Tents, you are guaranteed a customer-oriented approach to service. As a client of Fiesta, you will have our assistance every step of the way and benefit from the total experience. From the planning stages of your event to the post wrap-up after the festivities, Fiesta Tents will make sure your experience exceeds your expectations. 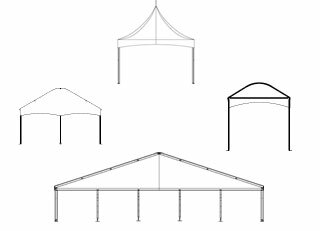 Fiesta Tents has earned a reputation for quality rental products and excellent customer service. We offer a wide variety of tents, party tents, canopies, pole tents and clear-span tents. All tents are manufactured with the highest-quality standards for all kinds of events. At Fiesta Tents, we are always striving to produce, develop and provide the most imaginative – yet very functional – temporary accommodations.